After I created my first “Surf Dogs Line Up”, I thought to myself- “Hmmm, I actually haven’t drawn a lot of dogs before”. The first piece was ok, not my best drawing but good enough. Then I thought “What would bring a real impact to these pups”. Draw a hundred of them. Then combine them into one single image. 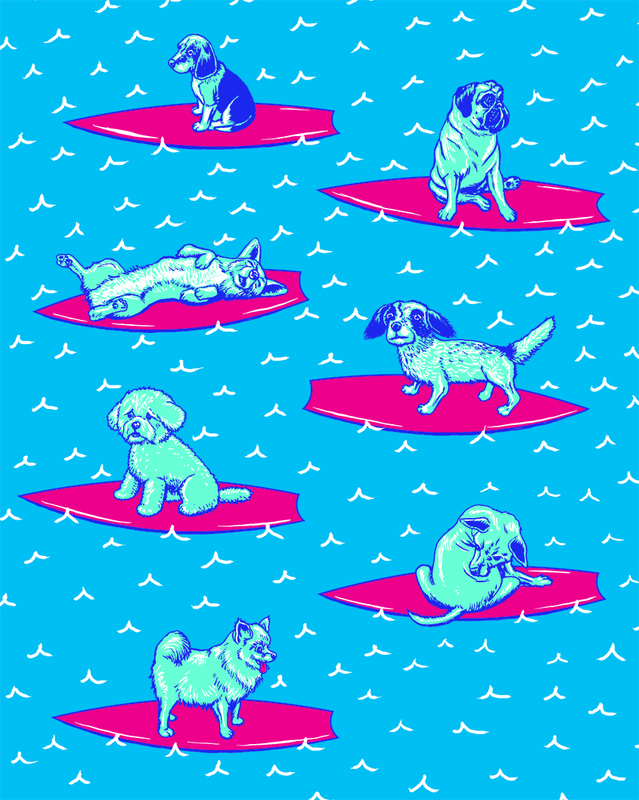 100 surf dogs. So, now there are seven more. Only eighty seven left.